BBC Creative wanted to make something special to promote the summer holiday schedule on CBeebies, so they turned to dock10 for some specialist graphics work. 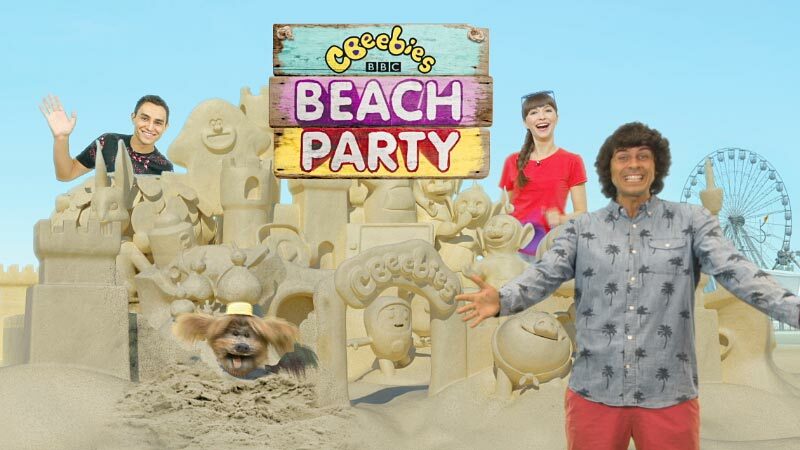 Their idea was to create a beach scene sequence centred on a spectacular 3D computer graphic (CG) sandcastle that incorporated characters from their most popular summer shows. The camera would fly around the sandcastle moving in and out of its windows to play clips from each show, before pulling back to reveal the actual CBeebies presenters on the beach and a special surprise at the end. First, our concept artist brought the BBC’s initial sketches to life, presenting them with a range of options for the promo’s look and feel. Collaborating closely with the BBC, we next created a comprehensive storyboard that detailed the look and movement of the entire sequence. This is essential for such complex 3D CG graphics as the rendering process means it can be time consuming to make changes later. Once signed off by the BBC’s executive producers and creative directors, the VFX team began modelling the sandcastle and characters using powerful 3D computer graphics. The BBC supplied clips of the shows and green screen footage of the presenters which were composited into the finished sequence. To add an exciting twist at the end it was decided to bring one of the sandcastle characters to life. As the camera moved onto Hacker T. Dog, we used an effect of swirling sand to cover a cut between the CG model and green screen footage. This allowed Hacker to playfully jump out of the sandcastle towards the viewer.